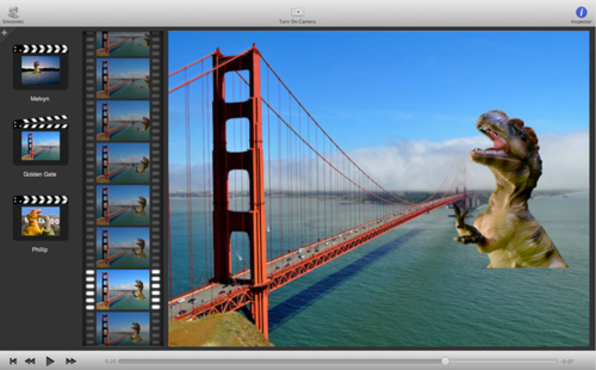 Crafted by photographers for photographers, two-time Apple Design Award–winning FotoMagico is the slideshow tool of choice for thousands of photographers. It will turn your pictures and movies into a powerful story quickly and easily and present it in high resolution or enable you to share it in a variety of formats – like on your iPad, iPhone, website, or a DVD.  Loaded with brilliant transitions, layers, titles, music, narration and sound effects, you have all the creative tools to create a magical slideshow immediately. Pull photos from iPhoto, Aperture, Lightroom, or anywhere else – almost every file format is supported, from JPEG to RAW in any resolution. You can even use pictures with weird aspect ratios like panoramas. 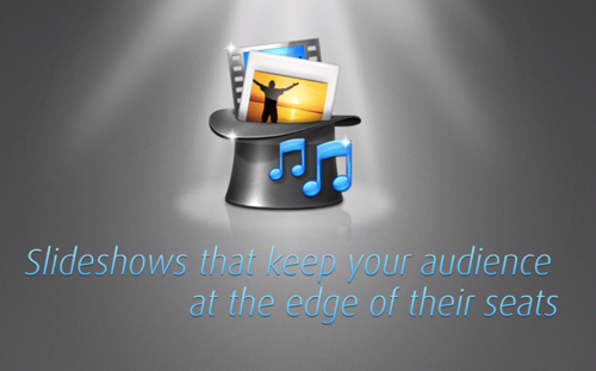 Easy to Learn, Easy to Use - FotoMagico gives you sophisticated shows with sound and high-end transitions in minutes. Like the Mac itself, it never stands in your way. Results in a Snap - Drag images and movies from your library into FotoMagico's storyboard. You can create your first show in a few minutes. Add Sound - FotoMagico lets you choose any song in your iTunes library or with sound-effects, voice-overs, or compose a one-of-a-kind score for your show. Add narration with the built-in audio recorder to vitalize your story. Committed to Quality - Boinx Software constantly tears down and rebuilds animation, transitions and export routines so you're always getting the best look possible. Share with the World - FotoMagico has export presets for iPad, iPhone, web, DVD, and YouTube, so sharing your work is easy. Plus it's great for live presentations; the built-in teleprompter and FotoMagico Remote iOS app give you complete control over how you tell your story. Crafted By Photographers - FotoMagico is the brainchild of Peter Baumgartner, a computer engineer and passionate photographer who also wrote software for Leica. FotoMagico accepts all common file formats, including all RAW formats supported by OS X.
TuneUp is the fastest and easiest way to fix your digital music. Correct mislabeled songs, add missing cover art and remove duplicate tracks – all in just a few clicks. Say goodbye to “Track 01” and “Unknown Artist,” and hello to a brand new digital music experience with the most intelligent song organizer on the planet. It seamlessly connects with your iTunes to organize and categorize your music from top to bottom. How many computers can you activate software with? - Licensed on a per-computer basis and may be transferred up to 5 times. The Easy to Use, Advanced DJ Music Mixer! Ever wished you could be the DJ of a friend or family member's party? Make those dreams come true with MegaSeg DJ. Seriously: instead of limiting yourself to party music on your iPod with awkward gaps or abrupt cuts between tracks, now you can seamlessly mix, beat match, and preview songs right from your entire library to create a FUN party experience for everyone. This simple software will turn any aspiring DJ into the one running the show! 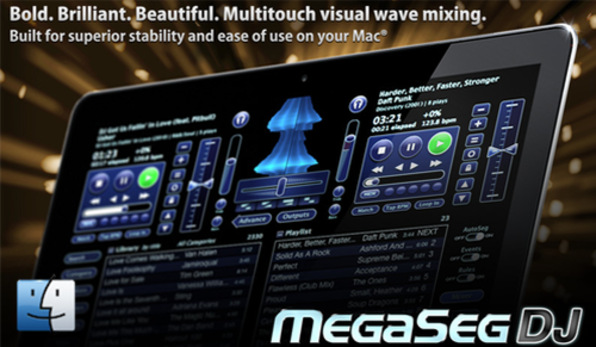 MegaSeg DJ offers all the core mixing features you need plus lots of extras. 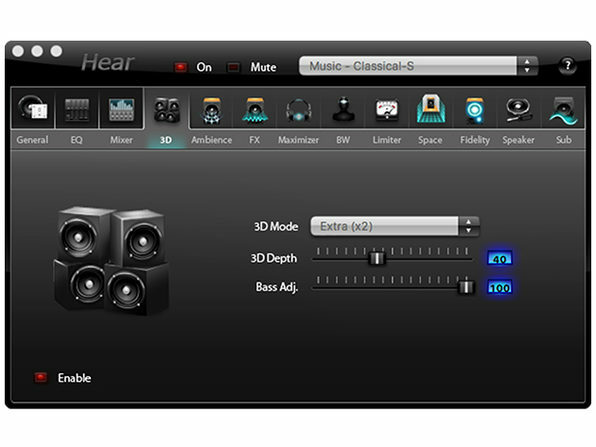 It combines fast access and elegant management of any media library, including iTunes playlists, with features designed for party, club, and mobile DJs. Preview and cue songs in your headphones without missing a beat. Streamlined Setup Imagine yourself free from carting around all your CDs, players, and a mixer. With only MegaSeg, a MacBook, and powered speakers, you have a complete compact system with instant access to your entire music library! Start a DJ Business Aspire to build your mixing skills into a DJ business! With MegaSeg DJ, you can create a well‐tuned library complete with perfect pre‐set segues, and perform smooth, consistent quality gigs. Some of us want it for ourselves; some of us want to share. For some it's about listening and for some it's about dancing. But we all love our music and MixTape is all about that elusive perfect mix. 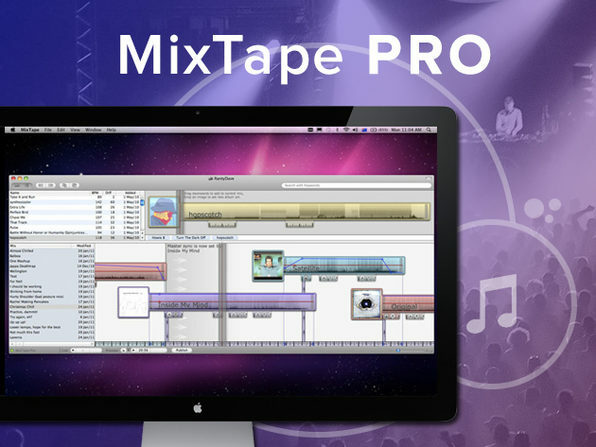 MixTape will help you create, experiment, and publish the results onto the web or directly into iTunes. Share your pro creations with friends or jam out by yourself. If you’re a music lover (or you’ve ever thought about making your own mixes), this is an application that’ll make your music mixing experience beautiful and easy. 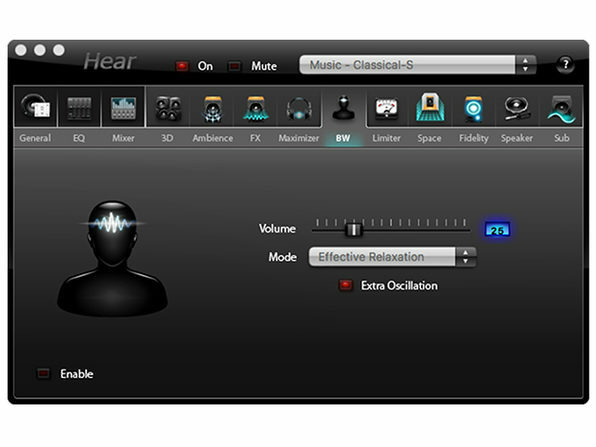 Developed with adherence to Apple's standards, it integrates seamlessly with OS X and features a simple interface despite being an extremely powerful program. With beat matching, envelope and hi/lo controls, you have full control to take your mixes from amateur to professional quality. A ‘one click’ export into iTunes or straight onto the web (with no additional services or accounts) makes getting your mixes to where they should be simple. Pro-quality beat matching for beginners. Elegant GUI and tutorial videos. Export to iTunes or straight onto the web. Pro users can play live. 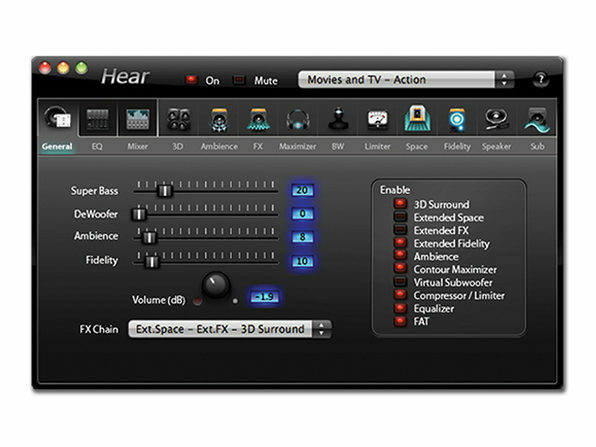 Import and export uncompressed audio. If you've ever seen Wallace & Gromit, Robot Chicken, or Celebrity Deathmatch - then you've seen stop-motion animation. Stop-motion animation and time-lapse photography are great ways to explore the basics of animation – and Smoovie is the software you want to use in order to do it. It gives you all the tools you need to create, edit, and publish your masterpieces, including live effects like green screen, color adjustment, and black and white. Chroma Key - Also known as a green screen, the Chroma Key effect lets you put any background behind your animations. Onion Skinning - Makes the live video from your camera semi-transparent and superimposes it onto the previous frame, so you know exactly where to move the objects in your scene to create perfectly smooth animations. Special Effects - 18 special effects are at your creative disposal, like the Chroma Key, Toon effect and Color Splash. Effects are applied to the live camera feed so you can see exactly what you'll capture. Time Lapse - Just point your camera and let Smoovie automatically take photos at regular intervals, then speed it up to make amazing time lapse videos. Superb Editing Power - Cut, copy, and paste individual frames or scenes - all with full undo support. Drag frames from one scene to another, copy frames from other smoovies and even roundtrip individual frames with other apps such as Keynote, Acorn and Pixelmator. Create a Soundtrack - Add a little music from your iTunes library to enhance your animation. If you want deeper editing and mixing capabilities, you can even export your animation to GarageBand or iMovie. Share the Magic - Smoovie lets you publish directly to YouTube and Vimeo, and export to your iTunes library so you can show off your creations on the big screen with AirPlay Mirroring. Mac running OS X 10.7.5 (Lion) or later. If you're an audiophile who loves clear, quality sound, you might think it all relies on the quality of your output device. Though true to some extent, it's often not the device that makes your songs sound great, but the equalization of the sound itself. 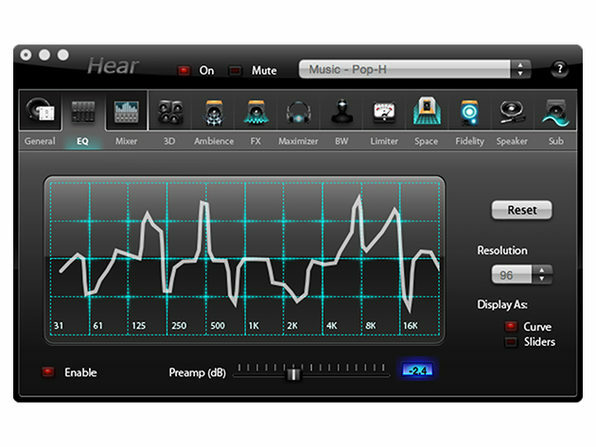 That's why you need Hear--the premium sound enhancement software that will enhance anything you hear on your Mac. With tons of built-in presets, effects, and sound customization options, you'll never listen to your music, movies, or games the same way again. 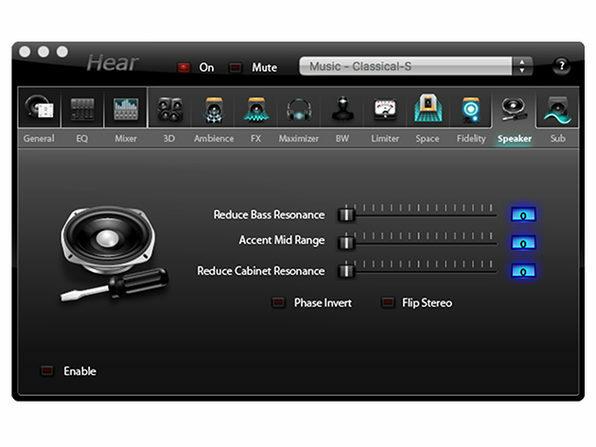 Customize the sound to your preference with a 10- to 96-band equalizer, 3D sound effects, presets, etc. What’s this Mac Bundle all about? It’s a time-limited opportunity to buy a collection of apps for pennies on the dollar! Our bundles are exclusively constructed and are made for anyone looking to discover the best apps around the globe. Can I download all of the products in my bundle? Yup, all of the products in our bundle are downloadable right from your account. No shipping address is needed. What’s the catch? There’s no catch! You’ll get the same versions of the apps as if you paid full price for them and you’ll also receive the same support, updates, and upgrade options as well. How does it work? We work closely with our developer connections to mix and match the best apps for a bundle so we’re able to sell thousands within a two-week time frame. We leverage our relationships with tech blogs to expand our reach to millions of people worldwide which makes it attractive for developers of all kinds to work with us. How many bundles can I buy? Due to the highly discounted bundle you’re only able to buy ONE (1) bundle per customer. What version of Mac OS X do I need to use the bundle of apps? Please view the product description for each app to find out the system requirements. You can find this on the bundle page. What languages do the apps in the bundle support? Please view the product description for each app to find out the applicable languages. You can find this on the bundle page. If I buy the bundle today, can I download my apps later after I get my new Mac? Yes, as long as it’s within 60 days of your purchase. You’ll be able to access all of your license codes, download links, and installation instructions right in your account. Will the developers of each in this bundle be allowed to email me after I buy it? Yes, they will be able to contact you via email for support/upgrade reasons but you will always have the right to unsubscribe from their emails if you need to. This allows for them to provide the best support to you possible. Do the licenses work on all my Macs? Please note: all licenses are for ONE user only but some licenses are valid for use on numerous Macs. Please see the product description. If there is no product description they are applicable to only ONE Mac. Where can I retrieve my purchase information? You’ll be emailed a confirmation receipt that will contain everything you need to know to download and activate your apps and you’ll also be able to access all your purchase information in your account under ‘My Purchases’. Did my purchase go through? If your purchase was complete, you should 1) receive a confirmation message in your web browser, 2) be able to access all your product information in your account under ‘My Purchases’, 3) receive a confirmation email. The license code I received isn’t working, what should I do? Please carefully read the installation instructions for each of your products to make sure you’re not missing something. Some applications require you to enter in your name and/or email address exactly as you provided those details to us. If your license details are still not working, please contact the developer directly of the app in question for the fastest response. I mistyped my name or email address so how can I update my license details? Please contact the developer directly of the app in question for the fastest response. We’re unable to manually alter licenses once they have been granted so you must contact the developer in order to get the issue resolved. Please note that this may take several days to get fixed because it can be relatively laborious. How do I get a refund? Sorry, but THERE ARE NO REFUNDS for this type of sale. We are all for refunds but due to the nature of the time-limited sale we’re unable to grant refunds. All purchases are final and no exceptions will be granted so please be aware of what you’re buying. A lot of the applications have free trials so please be sure to try them out before you make the purchase and it’s your responsibility to make sure that all of the apps are compatible with your Mac. Please contact the necessary developer or our support before you pull the trigger if you’re not sure. I was charged multiple times, what should I do? Contact us immediately with your full name, your account email address, and the dates the charges were made and we’ll be sure to take care of the situation.